Living in a foreign country has by far been one of the best experiences of my life. Prior to coming to Costa Rica the only other country I had been to outside of the United States was Mexico. Being immersed in a culture other than my own has been an incredible growing opportunity. It’s really easy to trap ourselves in the bubble of whatever culture we grew up in, or have spent most of our lives in. It was hard for me to imagine how or why people elsewhere would do things differently. And when people from another culture came into mine, I didn’t understand why it was so hard for them to adjust. If there was one thing I was ignorant of, it was other cultures. I have spent most of my life living just east of San Francisco, California, in the booming business world known as the Bay Area. Here work is fast-paced and efficiency is king. People are generally task-oriented and know how to get the job done. This creates a very successful business environment, but relationships are often put on the back burner. People take huge pride in what they do, how they do it, and how fast they get it done. When I say people, I am/was definitely included in this group. On the other hand Costa Rican culture values highly the “pura vida” lifestyle. Laid back and relationship-focused, work almost always come second to friends, family, and community. This creates a very friendly atmosphere that highly values relationships between people, but work does not always get done in a very timely manner. 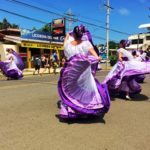 The point is that the Bay Area, California and Jaco Beach, Costa Rica are polar opposites when it comes to culture. But you know what I’ve learned? That there are things I love about both! Bay Area culture taught me how to work hard for what I believe in, and to accomplish my goals. Costa Rican culture has stretched me to be more patient. It has taught me to slow down and love people. It has taught me to be interruptible. Jesus was interruptible….. This post is part 1 of a 2 week series. Check back next week for part 2! In the meantime you can learn more about the Ocean’s Edge Ministry HERE, and more about the author, Kyle Costamagna, HERE.